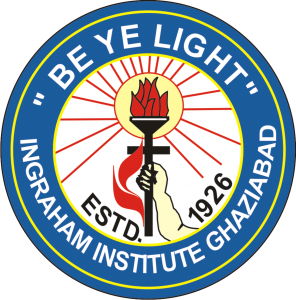 Ingraham Institute celebrated the 70th Republic Day of the nation on 26th Jan 2019 with full enthusiasm and zeal. All its units including academic and technical have gathered and participated in the national festival at its huge playground located at the Hapur Road. The celebration was started with Flag hoisting and National anthem, followed by many cultural programs perfomed by students from different units. Director Wing Cdr. P. Jethro motivated the students to maintain the unity and integrity of the country and delivered oath to all the staff and students to discharge their obligations to the country and to work against the corruption.